Born to be used in surgery, the magnification systems have also had a great diffusion in other areas (dentistry, otolaringology, obstestrics, aesthetics, ...) above all for the growing need to accurately assess the work to be performed. Generally we consider MICROSCOPE and / or BINOCULAR LOUPES necessary to magnify very small things, but it is not always so. The main function is to allow us to "distinguish" (technical term resolve) the details of extremely small structures. The magnification of the details is a secondary feature of the instrument. RESOLVING POWER is the capacity of an instrument to distinguish two points of an object which are close together, as two distinct points. 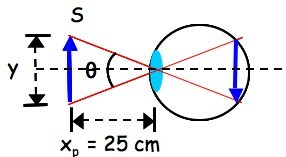 The image of an external source S on the retina increases in size as the source approaches. 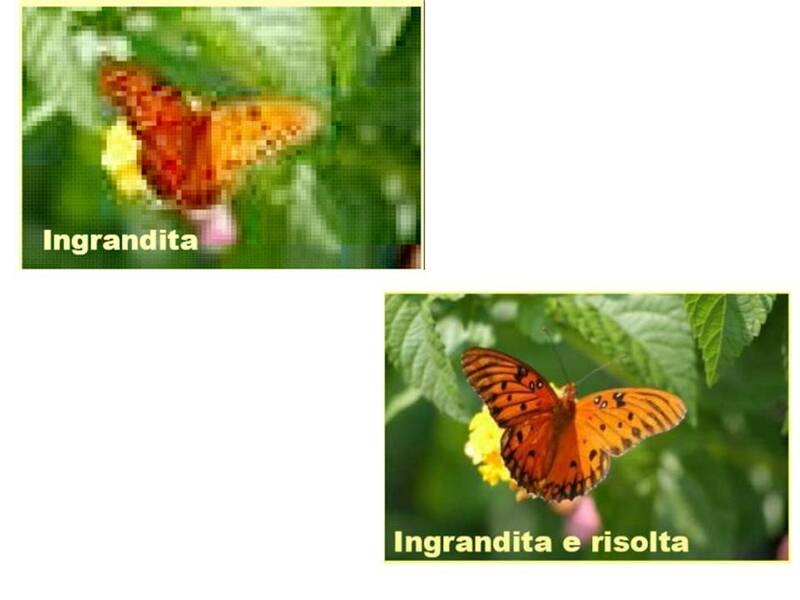 However if approaching at a smaller distance of the near point (25 mm) the image is not focused sharply on the retina. 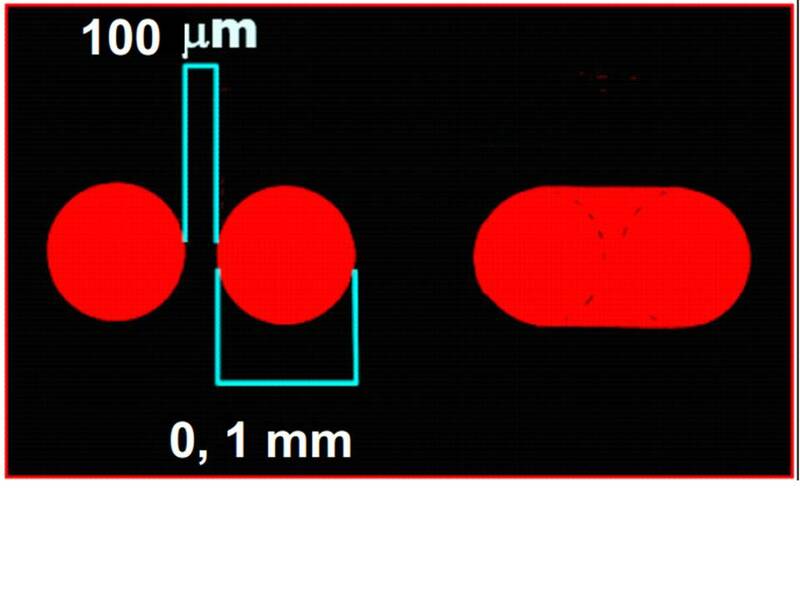 The smallest detail tha can be appreciated by the naked eye, in the near point, has the size of 100 μm. 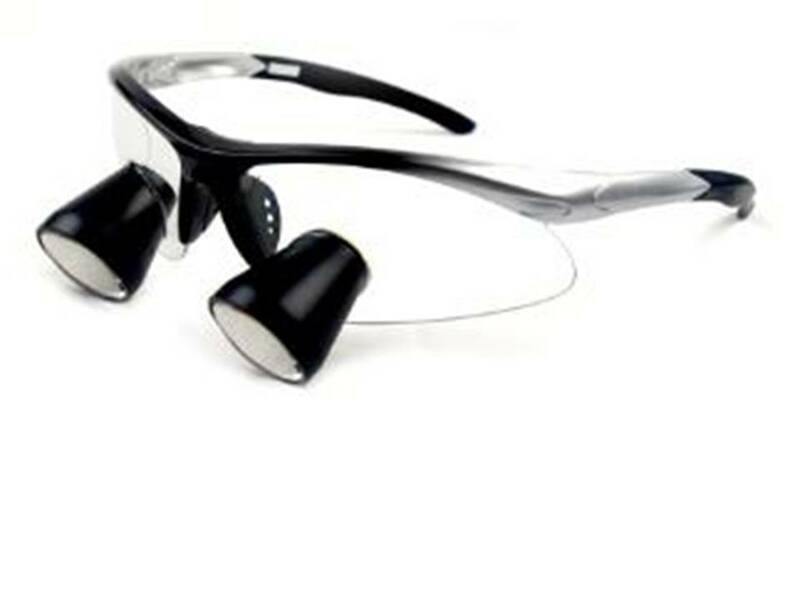 - Flip-Up, have optics that are attached to a mechanism that allows them to "flip-up" out of the way when not neede (e.g. whilst talking to the patient) and it's easier to add prescription to frame. 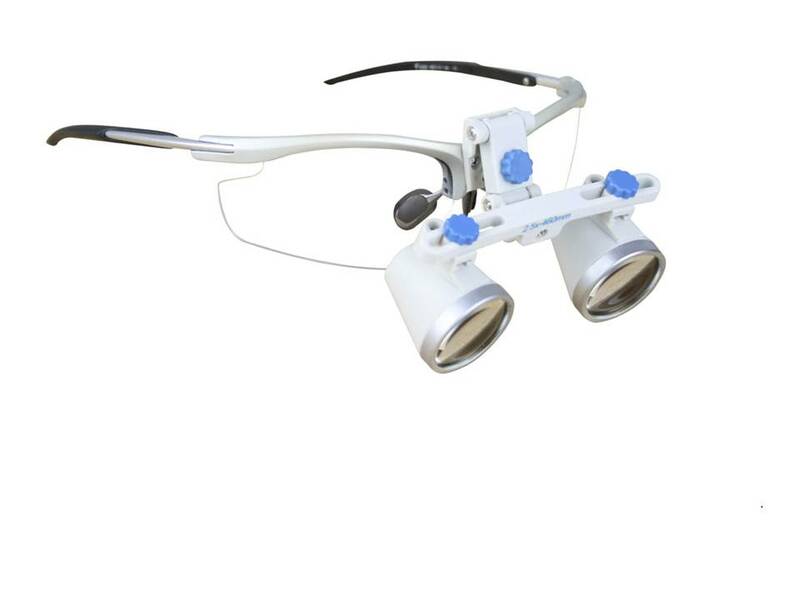 Thanks to their versatility (adjustable pupil distance) they can be adjusted for different users. The choice is a matter of individual preference. Further classification can be made according to the adopted optical sysstem. - PRISMATIC system (or Keplerian), composed by a pair of lenses (positive-negative) and at least an upright prisme. 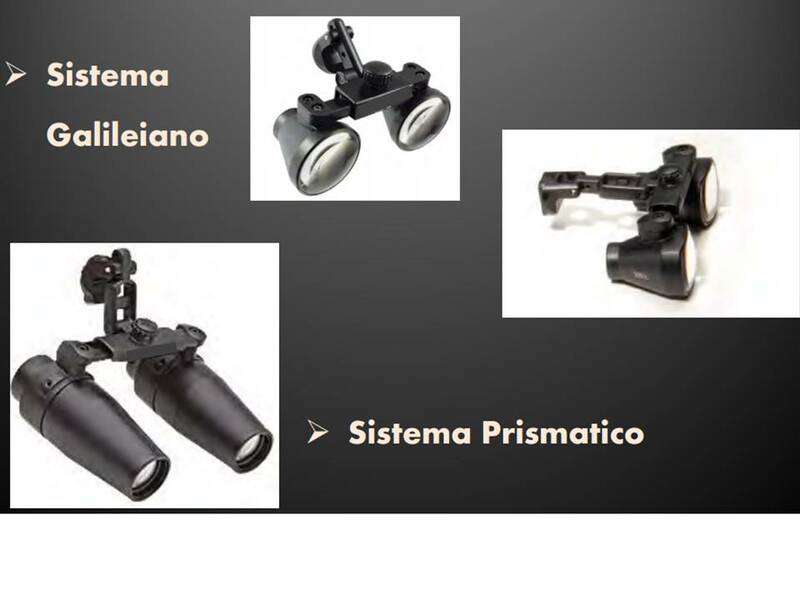 The weight and dimensions increase significantly but the result is higher magnifications. Approximately 70% of dental professionals report one or more muscoloskeletal disorders (neck, ahoulder, lower back region). Most pf these deseases is due to poor posture adopted during the work. Many risk factors for work-related musculoskeletal disorders (WMSDs) can be minimized or eliminated through prevention and ergonomic strategies. MSD is common in occupations that involve repetitive moements and prologed, statis postures such as sitting or standing, both of which are prerequisites to dental clinicians. 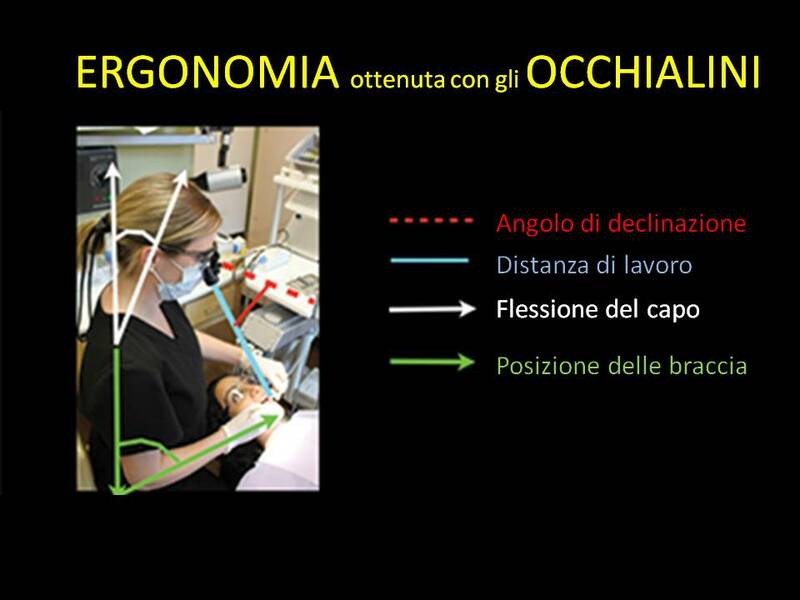 The posture described in "ISO Standard 11226 Ergonomics – Evaluation of static operative postures" is recommended for the dentists and is called balanced or neutral posture. -the feet on the floor oriented forwards in the same plane with the shanks; when the feet are symmetrically positioned below the operator hands, the posture is balanced. Generally dental clinicians claim that they have a good view at 25-30 cm from the patient. 25 cm is in fact the NEAR POINT of human eye, ie the minimum distance at which there is a distinct image on the retina. A normal eye is not able to focus on objects closer than 25 cm. The distance of 25 cm, however, implies a poor posture: the operator is forced to "bend down" on the patient then making twisting of the torso and neck. The optimal working distance in a sitting position depends on the operator's height and generally varies from 34 to 46 cm. As shown below, a magnification of 2.5x shows a clear improvement in vision of the working site. The improvement in dignosis and operative treatment are well documented. 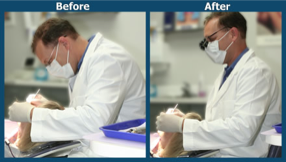 2.5x magnification is stated as the standard for general dental procedures.